On the Tiny House structural team we are in charge of all of the structural elements of the Tiny House structure. We will be making the structure strong and able to hold all the implementations from the other Tiny House teams. We will also be implementing other sustainable design into features such as flooring, roofing, and insulation. 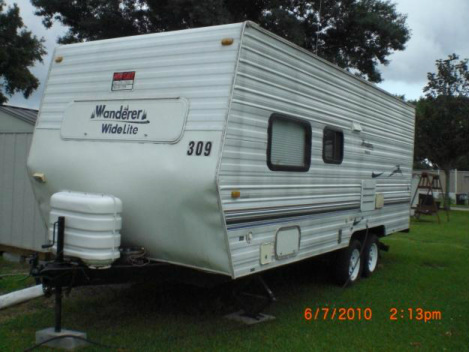 The type of trailer that we are working on obtaining. Approximately a 25 ft travel trailer that we will strip down and remodel.